The commitment to high quality standards has made Cipla the most trusted brand and top Indian pharma company among healthcare professionals. Cipla today has 12 divisions reaching out to more than 20 specialties from general-practioners to super-specialists. 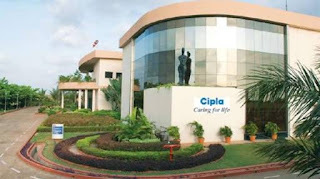 Cipla is a market leader in three therapies — Respiratory, Urology and Antiretroviral (ARV) with seven brands in the top 100 list. In the fiercely competitive Indian pharmaceutical industry environment, Cipla scores over with strong brand equity, product range, unique dosage forms, pioneering work across therapeutic areas, numerous medico-marketing initiatives, strong distribution network of distribution depots catering to a network of over 3,000 stockists, reaching out to 7,00,000 chemists and more than 10,000 colleagues with can-do attitude.